One of the key challenges of turnaround management is dealing with the time-consuming task of permitting. 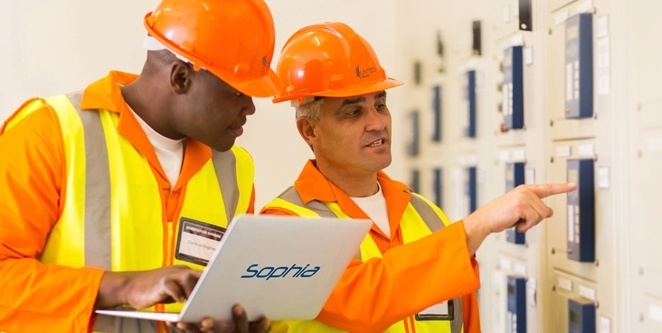 That’s is why United Safety developed Sophia, an integrated risk management software that offers a one-stop solution for permit-to-work, as well as access validation, document management, checklists management and collision detection to efficiently allocate resources. Sophia allows users to improve permit-to-work processing time including tracking, recording, and release by distributing workload across multiple servers, manages access control, bill books, legal requirements, operations management documents, and safety forms through its 4 components. Sophia*. Your source of turnaround wisdom. Plans and controls thousands of work permits based on several criteria. It matches the skills required for the job with the personnel available. With the integrated Document Management System (DMS) you can manage attachments, file and find documents related to different entities with just a few clicks. Manages a dynamic and flexible model of ad-hoc checklists and surveys. Checklists have a visual system and an advanced alert system of each item’s expiry date.